You can lead a boy to homework, but you can’t make him think. Sooner or later, every parent makes this discovery. How then, is a concerned parent going to find the ignition switch that will start the learning engine that lies hidden between the ears of his or her developing child? It all begins with encouragement and good example. If the parent is a reader, the youngster is likely to become a reader too. If ideas outweigh possessions among parental priorities, offspring will surely notice. If homework time is specified and study space is reserved, the stage is set for serious study. But who can say for sure that study will in fact begin? No one can. This is not to say it never will, just that you have no way of knowing, before the fact, that measurable results will register in mind and memory. Can you talk about it to your children without lecturing, invite serious study without haranguing, urge application of intellect without threatening? Yes, but only if you set the borders between these options firmly in your own mind and take care to observe them. Conversations with other parents will help to generate ideas and reinforce parental resolve to stay with it and achieve success. Too many parents try to go it alone in meeting this important parental responsibility. Back for a moment to encouragement and good example. Is there sufficient evidence of either or both in your household to support the conclusion that what must be done is being done to foster a friendly homework environment? That, of course, means a family-friendly environment — all members of the family share responsibility of creating the atmosphere that any other member needs for quiet study. Grades eventually come in and tell the story of success or failure in the learning enterprise. Homework will have contributed significantly to the success column, although attention paid in class will have helped a lot and other mechanisms like study-buddies and library visits will have played a positive part. Reward and punishment routinely accompany the arrival of report cards. Neither should eliminate encouragement from the parental response, nor should rewards become bribes aimed at maintenance of performance. Modest rewards are always appreciated and not normally abused. Punishments, however, can cause more harm than long-term good in the motivation minuet that is essential for positive academic performance. Maintaining motivation is a responsibility that students share with parents and teachers. Learning is, after all, a self-propelled activity. Teachers are needed to organize and explain. Parents are needed to make sure that their offspring show up rested and ready to learn. But students themselves have to open the doors of their minds to the riddles of life, the wonder of words and numbers, the stories of the past and the mysteries associated with our unknown future. The handle to the door of the mind is always inside; only the occupant of the young body that houses the developing mind can open it. Hence the truth of the dictum that opened this reflection: You can lead your child to homework but, however much you might wish it were otherwise, you cannot make him or her think. Sometimes all you can do is pray. 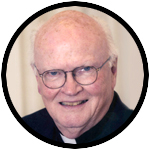 Jesuit Father William J. Byron is professor of business and society at St. Joseph’s University, Philadelphia. Email: wbyron@sju.edu. NEXT: What are you doing for others?